Oh the white T-shirt. You know you have a million in your closet yet I keep buying them because I’ve never found “the one” that isn’t see through and has the structure I want. A while ago I purchased this top in tangerine and I was so sad I didn’t also get it in white when I had the chance. I told myself I should get something different because I have enough white tops… #regrets. Ever since I have been looking for one on Ebay or Poshmark with no luck in my size. Fortunately I recently came across this one very similar AND half the price! I’m still obsessed with these shoes by the way.. I'm loving this easy and casual look! I need this top. I LIVE in white and basic tees in the summer! What a cute outfit! The top is so crisp and I love the necklace and leopard clutch. I adore this laidback look! 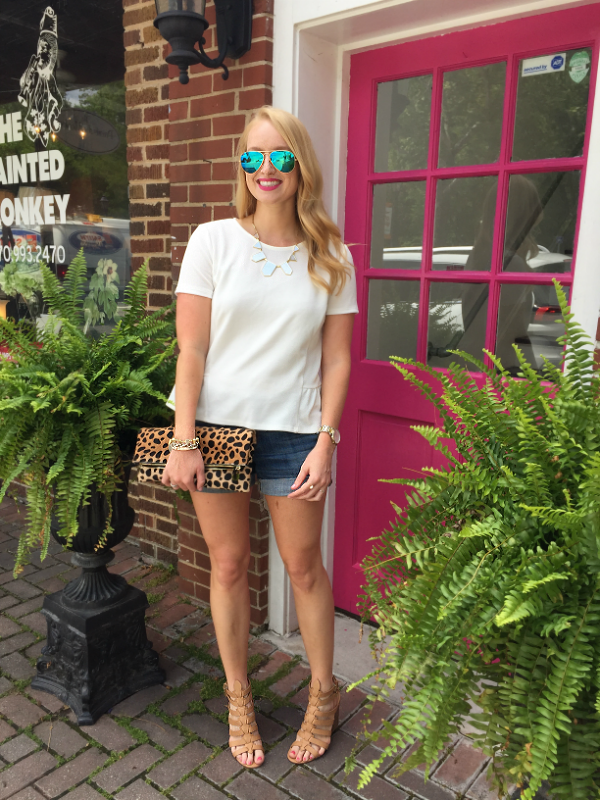 The leopard clutch is a great addition, too! Best of luck finishing up school! I love that top! I want it in every color! 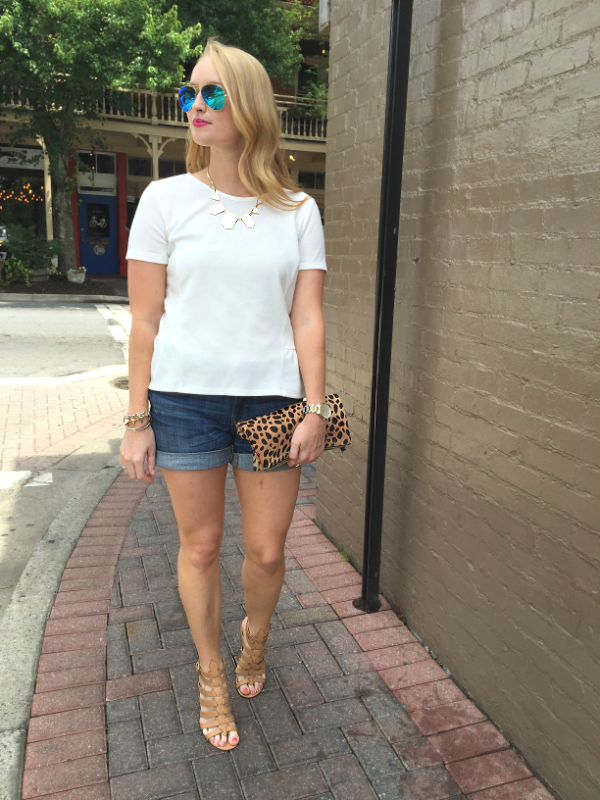 Such a fun summer look! I love those heels and clutch. 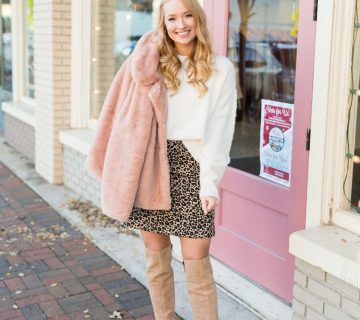 I am a sucker for anything leopard! 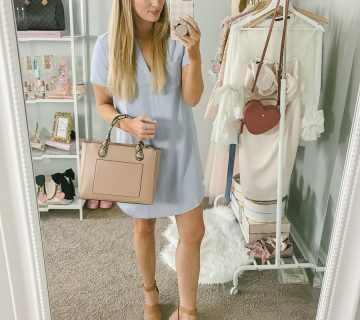 I love the simple and chic look of this outfit. 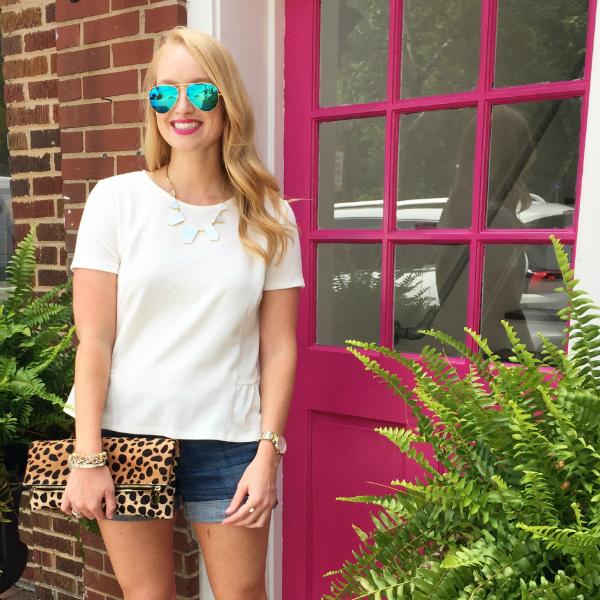 I've been totally coveting a leopard print clutch, and those shoes are amazing.